A trend grows for a generation or two, society turns on to the danger of it, people fight to turn that trend around… and they succeed. With adults consuming media eight hours a day and children spending 6–7 hours a day looking at screens, perhaps its time to think about digital overload — excess screen time — in the same way as smoking. First, let me start by saying: of course, cigarettes and excess screen time is not a perfect analogy. Cigarettes kill people over time and excess screen time (outside of the driver seat) does not. Health experts like to think of digital overload more like overeating and less like hard drugs: too much of a necessary thing, rather than a thing you should avoid altogether. However, it might still be useful for the Digital Detox movement to take a few pages out of the Tobacco Control movement’s book. Like with cigarettes in the 1960s, scientists in the 2010s are discovering the hidden dangers of digital overload. Psychologists’ Diagnostic and Statistical Manual of Mental Disorders (DSM) is about to list “Internet Use Disorder” as an area worthy of study. With digital distraction hurting our ability to store memories, Millennials are starting to have more senior moments than seniors: they are, for example, more likely than those over the age of 55 to forget what day it is or where they put their keys. According to research out of UCLA, daily doses of technology could be eroding our fundamental social skills, like reading facial expressions. This is all without mentioning how the light from electronics before bed is hurting our sleep. Like with smoking, kids are at risk of more harm from digital overload than adults are. Researchers found that sixth graders with regular access to phone, televisions and computers were significantly worse at reading human emotions than kids whose exposure was limited. Excess screen time can also undermine learning, delaying language acquisition and limiting constructive problem solving and creative play. And it’s not just social and mental effects, it’s physical, too: excess screen time has been linked to childhood obesity and result in irregular sleep patterns. A major turning point in the Tobacco Control movement was the discovery that second-hand smoke —the experience of non-smokers being in a closed space with smokers — was harmful. We are starting to notice that environments can also be polluted by others’ screens. Research is starting to come out that any laptop use in a college class hurts academic performance for the whole class. Even those who themselves are not using laptops are distracted by those sitting near them. When a screen is in view of children and parents, parents spend less time engaged in important learning activities such as reading and hands-on play with their children. Half of people surveyed said a mobile phone has spoiled a key moment in their life. A study from a few years ago has even shown that just having a phone nearby, even without checking it, can hurt our ability to connect with each other. Musicians and comedians are turning on to this, employing technologies like Yondr — a cellphone lock pouch (whose slogan is “be here now.”)— to make sure second-hand screen time isn’t ruining their concerts. First steps to turning the tide? First, we could start treating excess screen time as the unhealthy behavior that it is. To ask employees, for example, to be always plugged in is counter to the spirit of a healthy office. Second, we could start treating excess screen time with — and around — kids like we would smoking around kids. We should limit the amount of smoking we do in proximity to children and, similarly, we should limit the amount we are distracted by screens in proximity to children. Finally, and most concretely, we could start treating pulling out a cellphone in a restaurant similar to pulling out a cigarette. Restaurants and their guests understand that some folks are smokers, but they ask that they smoke in designated areas, so as to avoid second-hand smoke. Similarly, we can understand that some folks need to send a text or make a phone call, but we could start expecting ourselves to check our phones in designated areas, so as to avoid second-hand screen time. Given the amount of time we spend on cell phones and the more and more we are expected to be always connected, turning the tide and finding balance again might seem like a pipe dream. 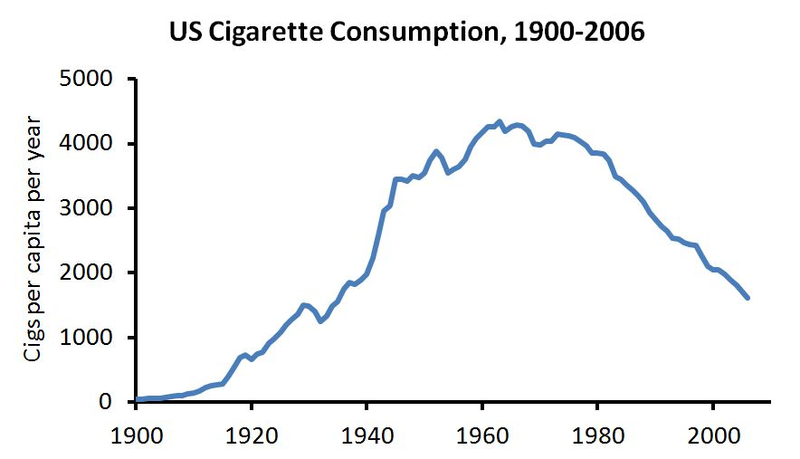 But the same feeling might have been felt by tobacco cessation advocates in the middle of the last century. And look how they turned the tide — it gives me hope that we can, too. Honey, You’re in Techno Overload! Unplug!